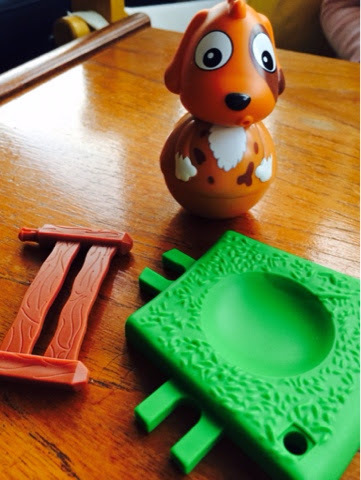 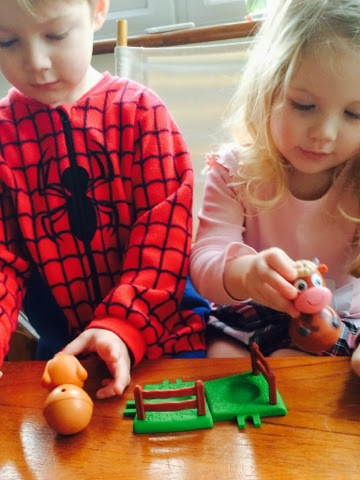 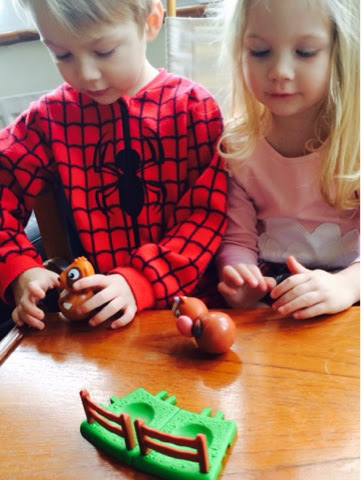 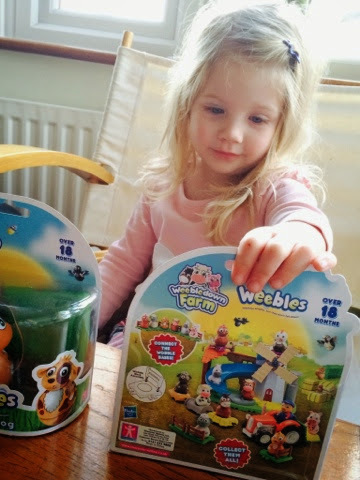 I'm happy to share with you a review of the new Weebles Weebledown Farm animals - there are 6 to collect and each one comes with a connectable fenced meadow base. 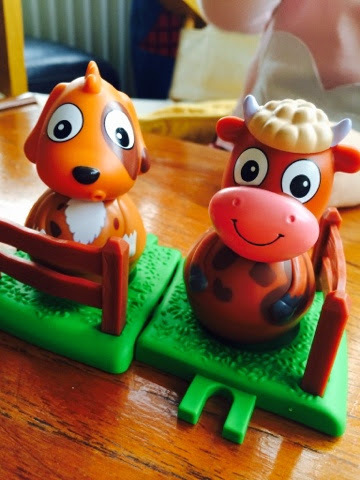 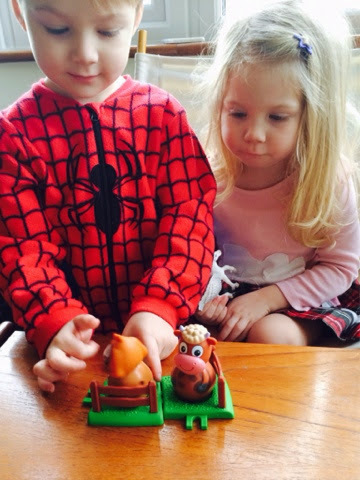 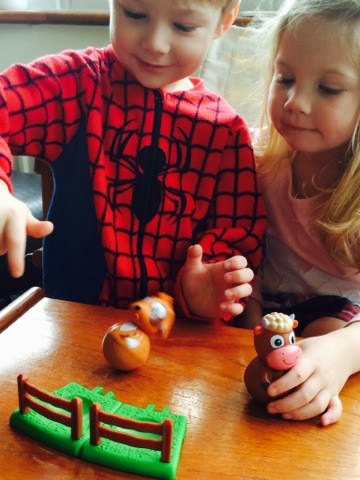 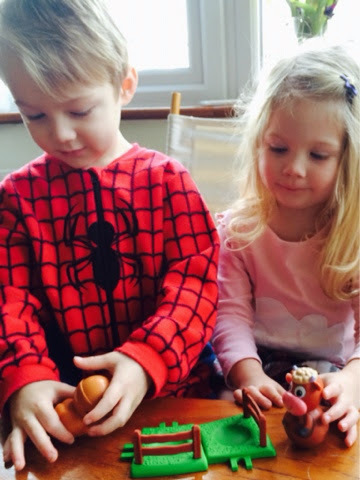 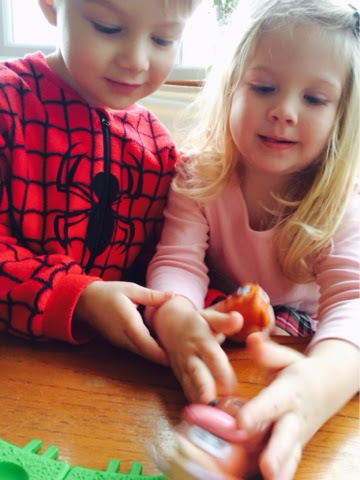 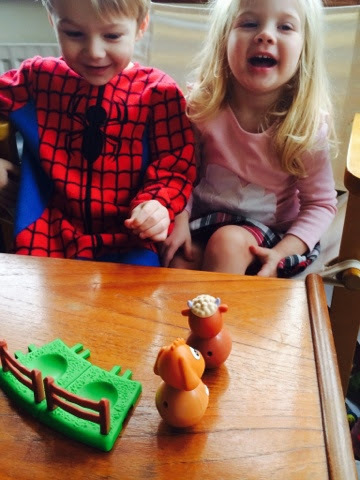 We were sent two farm animals to review - Patch the Dog and Buttercup the Cow. 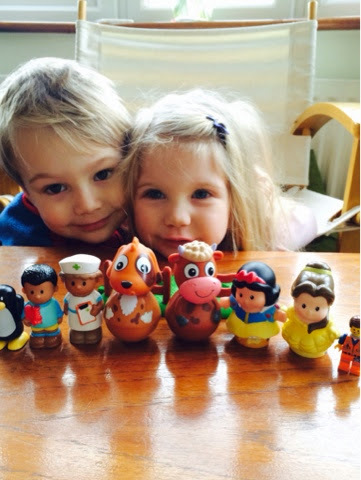 "Weebles wobble, but they don't fall down" these characters are perfect size for toddler hands and lots of fun to play with - aimed at 18 months and up, I enlisted the help of my 3 year old for this one - and then her big brother (age 5) joined in because it was hilarious to try and knock the Weebles down! 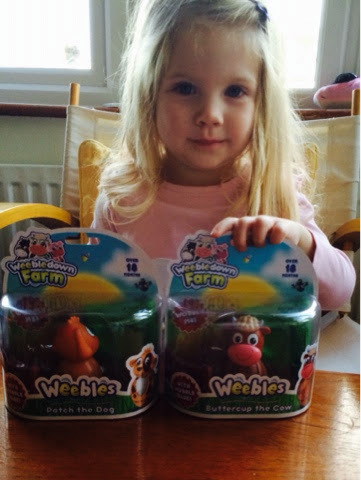 The Weebles bodies are hard and weighty and the heads are squishy! 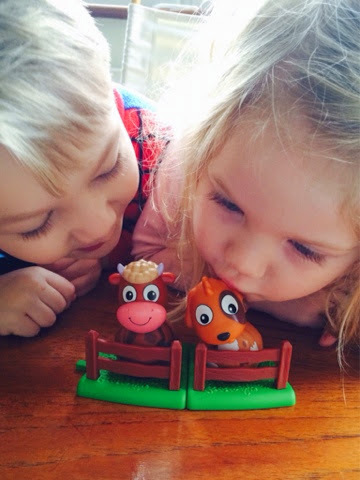 Everything has been designed to work together such as the meadow square and fence that come with the animals will clip to the Mill and Barn playset and the animals with vehicles can all be towed by the farmer's tractor. 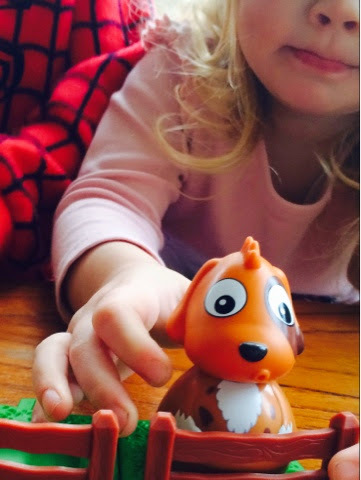 Disclaimer - I was sent two of the Weebledown animals for the sole purpose of being able to write this review.